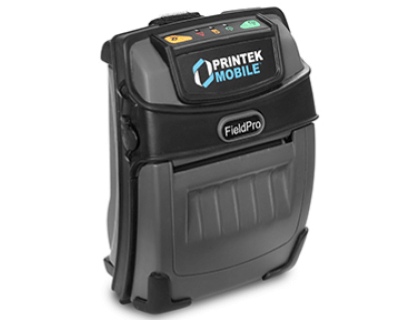 Learn about Printek 93182 FieldPro 530 Label Printer w/o battery. Includes pricing, features, and frequently asked questions. 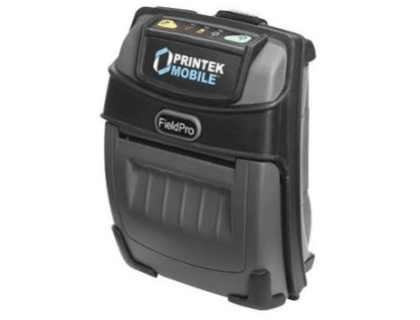 The Printek 93182 FieldPro 530 Label Printer is a mobile label printer that enables printing of PDF, Postscript, and other graphic files via a PC or mobile device. The FieldPro 530 features a web-based configuration and is designed to create high-quality tickets or receipts fast. Compatible with Windows, Windows Mobile, Apple iOS, and Android. Pros: Easy set-up, prints 5" per second, pairs with any device, light, portable, durable. Cons: Only prints in black. Bottomline: The Printek 93182 FieldPro 530 Label Printer is a versatile machine for printing receipts and tickets on the go. The Printek 93182 FieldPro 530 Label Printer w/o battery retails for $624.00. Fonts: Virtually all TrueType fonts, from 6 cpi to 34 cpi depending on emulation chosen, plus scaling. International Characters: Most common sets available. Unicode support. Printer Setup Program provides convenient configuration via a Web interface from any host (tablets and smartphones included). Standard (All Units): USB 2.0 PNP. Profiles: GAP, SDAP, SPP, BTLE. Universal Port: Data and power port–allows connection of external devices such as MCR, bar code scanners, biometrics, RFID. What type of paper can the FieldPro 530 Label Printer print on? The FieldPro 530 Label Printer prints on direct thermal roll. Can the Printek 93182 FieldPro 530 Label Printer operate in all temperatures? Yes, the Printek 93182 FieldPro 530 Label Printer is IP54-rated and operates in temperatures between 0°F and 122°F. Where can I buy the Printek 93182 FieldPro 530 Label Printer w/o battery? You can buy the Printek 93182 FieldPro 530 Label Printer by clicking on the link above, or from sites like Megadepot and Amazon. What are some Printek 93182 FieldPro 530 Label Printer w/o battery alternatives? Brady BMP®21-PLUS Portable Label Printer.